Lloyd Kaufman and Michael Herz produced The Toxic Avenger in 1984 and Kaufman couldn't be happier to be bringing the character back after a long absence, especially at Legendary. The origin story centers on a janitor who is chased out a second story window. He falls into a vat of toxic waste, which causes him to turn into the iconic Toxic Avenger. Throughout the years, there have been sequels, action figures, and a cartoon series that have kept that brand alive. However, now is the perfect time to see our hero rise again. Macon Blair is best-known for starring in Green Room and Blue Ruin, but he has recently stepped into the world of directing. His directorial debut titled, I Don't Feel At Home in This World Anymore recently premiered at the Sundance Film Festival and won the Grand Jury Prize for U.S. Dramatic competition after receiving praise from critics. The movie is currently streaming on Netflix. Blair also co-wrote and starred in the dark comedy Small Crimes starring Game of Thrones actor Nikolaj Coster-Waldau. Related: Is John Travolta Starring in The Toxic Avenger Remake? As for what The Toxic Avenger movie will be about, that is a mystery at this time. 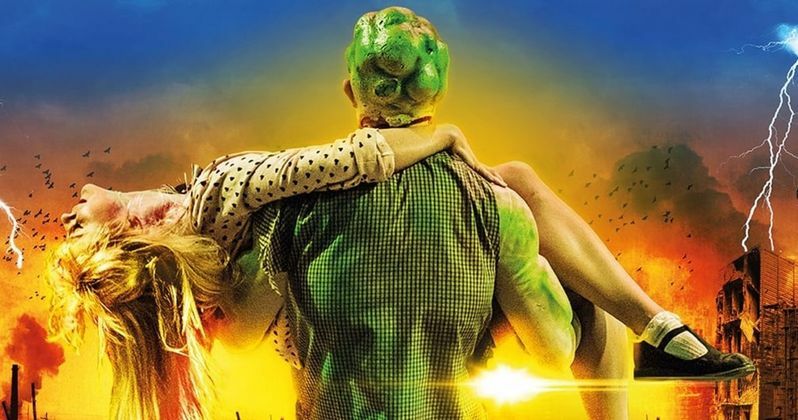 At the beginning of 2018, Lloyd Kaufman revealed that a script was already complete and that it would focus on "Toxie's two children who, 20 years after part four, have all grown up. And one has mutated into a very strange being." Kaufman went on to say that Toxie was going to visit Chernobyl and that the movie is very ambitious. He then stated that the reboot was only going to cost $100,000 to produce. It is unclear if this is Macon Blair's script or if things have changed behind-the-scenes. For now, it looks like Macon Blair will more than likely be starting from scratch to make The Toxic Avenger reboot for Legendary. Plus, it will probably have a larger budget than just $100,000. With that being said, part of Toxie's charm has always been that low budget attitude and aesthetic, so that aspect may remain. For now, we'll just have to wait and see what Blair decides to do with the iconic character this time around and how the world reacts to The Toxic Avenger in our current cultural climate. Varieity was the first to announce that Macon Blair is writing and directing The Toxic Avenger reboot for Legendary. Arnold Schwarzenegger to Star in The Toxic Avenger Reboot!